The latest jobs report shows that the share of workers who have multiple jobs remained stable over the last year at 4.8 percent. The Contingent Workers Survey released two months ago showed that the claim that gig economy jobs were replacing traditional employment was a myth. 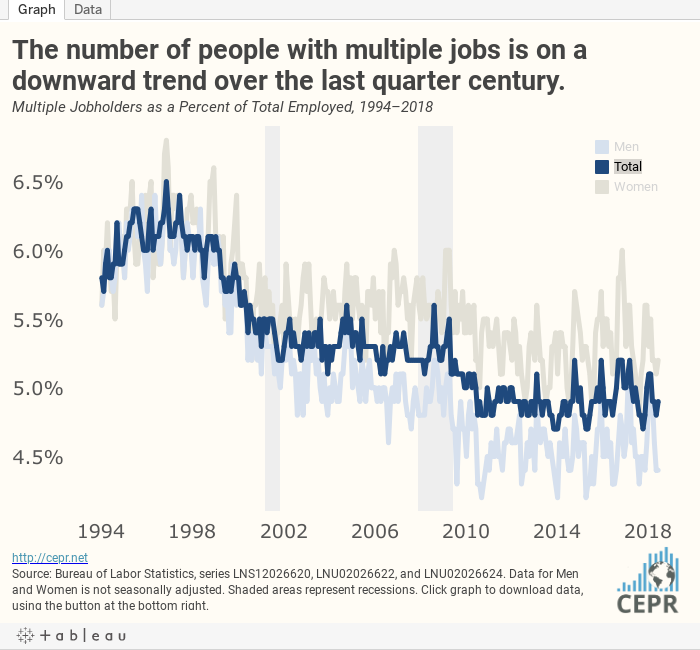 In fact, it seems that gig economy jobs are largely replacing other forms of secondary employment as multiple job holding is down from recession peaks and back to prerecession levels. For more, check out the latest Jobs Byte.